Keeping promises (more dough for you). A while ago, I made a promise to you. Unfortunately, I have not lived up to my leavened words. I am trying to change that today. 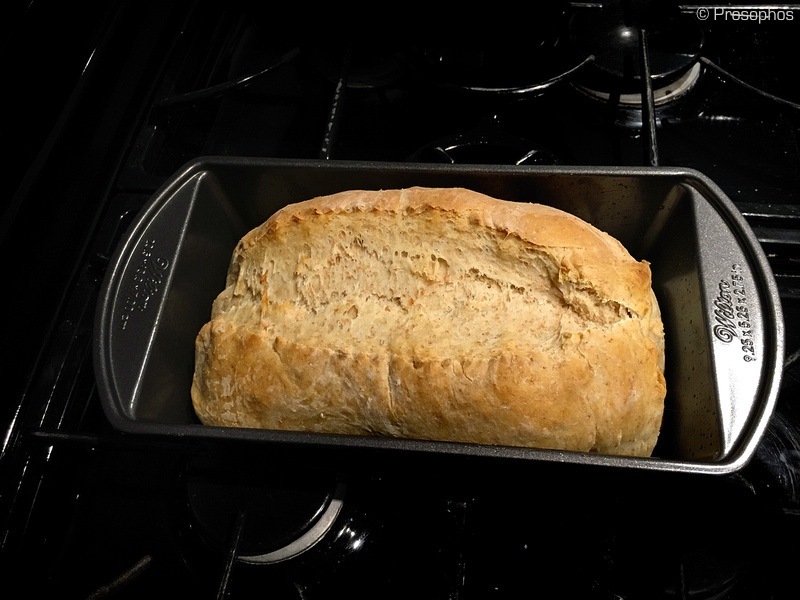 Here is my first ever attempt at baking bread. Now ask yourself if you get this much dough from other photography blogs. First, to answer your question….no, I do not get this much dough from other photography blog sites. How did the bread taste? Certainly looks like it was tasty….I would have thought a high quality photography blog site such as your own would have sent free samples around for us to taste and…you know, criticize….for free. Oh, well. Sir, do we readers need to “dough” or do better? Please advise. Hope all is well and thriving in springtime Canada. As for springtime in Canada: it was actually snowing here yesterday! Fear not though, the snow melted… Old Man Winter has lost his power — it will be warm again soon. Ah yes, the first step down the long and slippery slope. If you thought that one-off was good, try making it with home-milled flour — it’s so amazing that you, your wife, and your kids (think of the children!) will never want to eat any other type of bread again. And of course, once you make it with home-milled flour, then you’ll have to try it with Kamut wheat berries (wow! ), then you’ll have to try making the dough as a sponge (double-wow! ), etc. Making your own bread does take time, though you can cut some of that down if you automate part of the process with a breadmaker (purists will be getting the pitchforks and torches out now). My wife and extended family all love my home-milled bread, so much so that I had to FedEx several freshly cooked loaves out to my dad on the left coast as a birthday present once at his request.